Kapatiran Suntukan Martial Arts (KSMA) is for martial artists who wish to come together, exchange ideas, advance their art, and receive recognition for hard work regardless of style or background. KSMA is tribal in the sense that everyone has something to contribute and assist the members in their study and understanding of the arts. 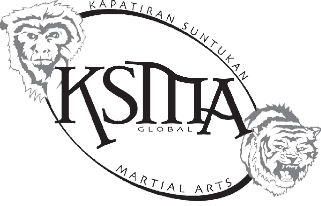 KSMA is a community insomuch that we take care of each other outside of the martial arts as well. One of the driving factors of the group is that an unused art is a useless art. Therefore, you don’t have to train what we train specifically, but you must train. Potential members must be met face-to-face prior to joining the group in order to make sure it is a right fit for all parties involved. Members are required to attend one sanctioned seminar annually to maintain membership. These events are opportunities to train with different people outside our local groups as well as delve deeper into the Spirit and Physical Culture which drives KSMA. The group was founded on the belief we all can learn from each other regardless of style, system, lineage or creed. Members of KSMA recognize we can all benefit from exploring other ideas by working together. 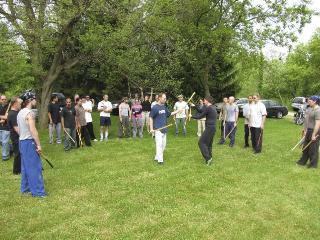 The dominate martial arts in the group lean toward Filipino and Indonesian arts. Aside from the arts, there are options for stripped-down learning. That being said, we welcome any and all who wish to share and learn with us. If KSMA sounds like something you are looking for, send us an email.